St Ives is a beautiful Cornwall seaside town that wraps around the harbour with breathtaking scenery of the north Cornwall Atlantic coast. Close to the harbour, its streets are narrow, winding with uneven cobbles. With the benefit of the Atlantic swells and warmth of the Gulf Stream, the area offers some of the best surf conditions for all abilities in Cornwall. 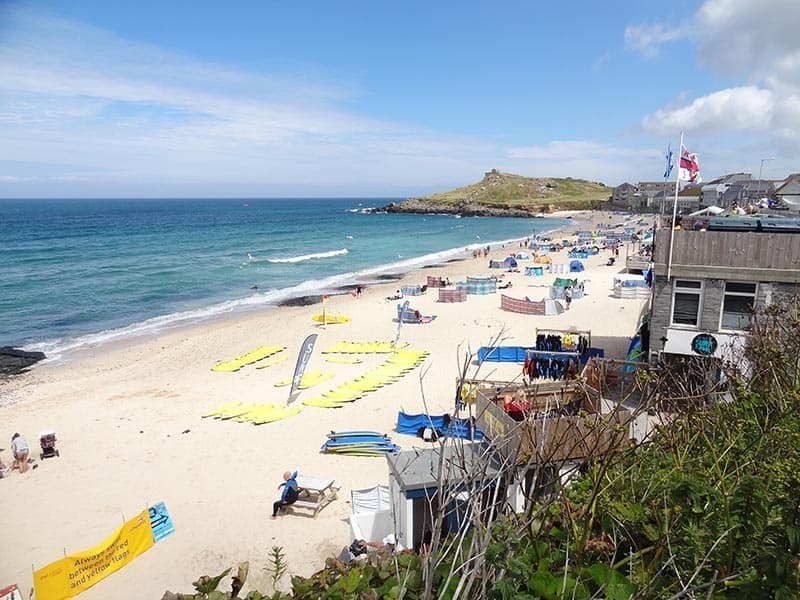 But St Ives greatest asset is that the closest beaches which surround the town all have slightly different aspects to offer something to suit all visitors. The town has five beaches: Porthmeor has the Atlantic swells and is known for it’s surfing, Porthgwidden a small sandy cove, Bamaluz the dog-friendly cove, Harbour beach by the working port and Porthminster which has almost half a mile of sand. You then also have Carbis Bay that is just one stop away on the St Ives branch line. Although this is clearly a seaside town there is much more than just the magnificent beaches. Spend time exploring the cobbled streets, finding local goods from a wide range of small independent shops and galleries. 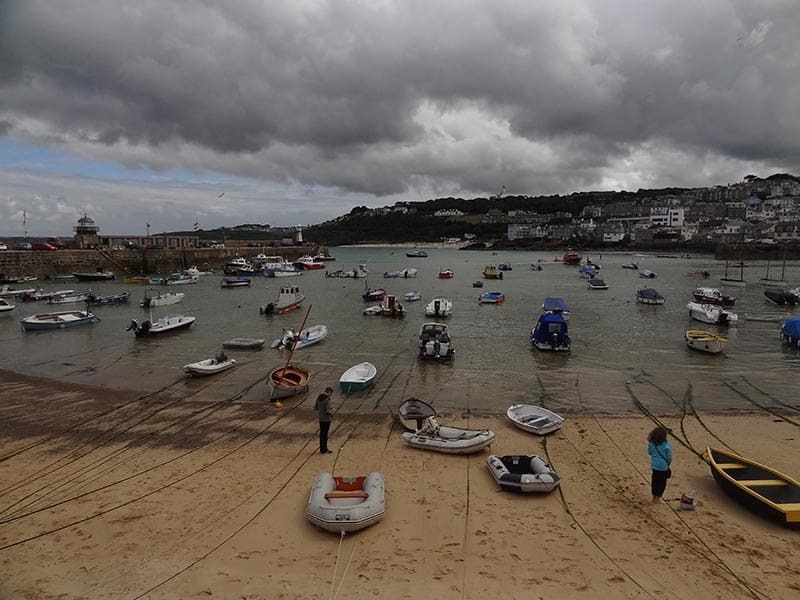 St Ives is known for its art, The Tate St Ives overlooks Porthmeor Beach, the Barbara Hepworth Museum and her sculpture garden contains the largest group of Hepworth’s works and then you have the St Ives Museum. The harbour no longer has the fleets of fishing boats but trades off the tourists. The most popular boat trip from the harbour being one to watch the local colony of seals located 6km (3½ miles) to the West of St Ives, on the aptly named Seal Island. Being a large town you have a massive selection of places to eat that satisfy the pangs of hunger of the day or the relaxation of the night. These can be the beach cafe/restaurants or one of the harbourside restaurants, pubs and bars. My favourite in the evening is the Hub (@HubStives) by the harbour that offers some fantastic burgers, hotdogs and craft beers. It is easy to get to St Ives as the A30 through the heart of Cornwall delivers you to its doorstep, although parking can be a problem. 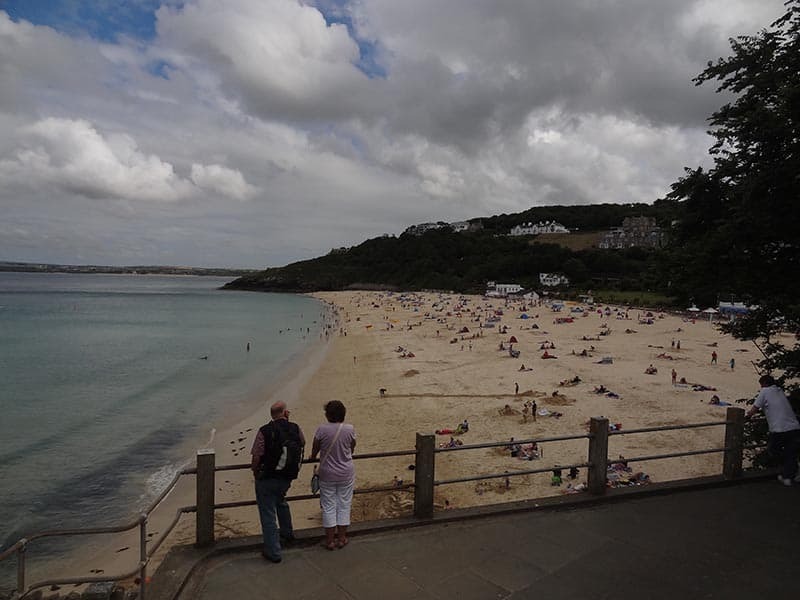 There is good train access with the St Ives Branch line arriving in the centre of the town above Porthminster beach, this is a good option to park your car at St Erth and take the scenic coast-hugging train in. For more information on nearby locations see our Penwith Peninsula or our Cornwall page.